Two incidents highlight the lure of whale. Thinking about taking home whalebone? Don’t do it. 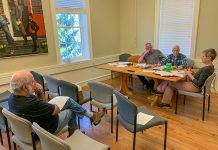 Two incidents — one involving a person caught in the act recently, and another last year involving a person who actually drove off with the whalebone — were investigated on the Island. In both cases, law enforcement officials say whalebones are off-limits to beachcombers, and could have led to penalties. On August 27, West Tisbury Police were called to Long Point Wildlife Refuge to investigate “someone attempting to steal a large whalebone,” according to a police report. Officer Phil Hollinger met with Andrea Plotkin, a resident of Waldren’s Bottom Road, who reported what amounted to whalebone stalking. Her son, Jared, and his fiancée told police a young man approached the bone, and removed a tarp and rope from his backpack. Jared told his mother he questioned the young man, and suggested he should stop what he was doing. The young man then walked off into the dunes past a no-entry sign — a bird nesting site — and sat down eyeing Jared and his fiancée. Plotkin witnessed this behavior when she arrived. “As we’re packing up, he starts to leave,” she said, describing him going away from the beach over the dunes. When she and her family got to their cars, she looked out in the dunes from another angle and saw the young man hunkered down, visible against the sand in a burgundy shirt and blue jeans, she said. It seemed too suspicious, so that’s when she placed her call call to police. After speaking with Plotkin, Hollinger then spoke with Trustees ranger Ryan Gonsalves, who informed him of much the same as Plotkin had, the report states. As Hollinger and Gonsalves headed out to the whalebone in a Trustees UTV, they spotted a 22-year-old British national who was once again alongside the whale bone with his tarp and rope. Hollinger said the young man was “very apologetic” and “did not attempt to lie about his intentions,” and promptly packed up the ropes and tarp and walked off. Sgt. Garrison Vieira, who came on scene after Hollinger, told The Times the young man had no chance of moving the whalebone, as it was too massive for one person to lug. A woman who identified herself as the young British man’s mother in a telephone interview with The Times, described herself as a seasonal resident and her son as an environmental geologist. She did not give her name, but said they’d found the whalebone on the beach and wanted to salvage it. The young man’s mother said she returned to the whalebone two days after her son encountered the police, and found it was gone. When informed the Trustees had moved it elsewhere on the refuge for possible use as an educational model, she said she was “very pleased,” and suggested the Martha’s Vineyard Museum would be a good final destination for it. No charges were brought against the young man. However, the Environmental Police were notified of the incident. Trustees of Reservations Vineyard stewardship manager Chris Kennedy told The Times the bone on Long Point was a type of transition vertebra between the head and the spine of an North Atlantic right whale. Unlike the skull on Cape Pogue, which the Trustees sought and got a license for, the Trustees opted to hand off the whalebone to the International Fund for Animal Welfare (IFAW) on the Cape. IFAW hasn’t collected it yet. Whalebone can be used to fashion decorative objects and personal articles like knife handles and watch dials, but not without a license. Some people use it as a garden ornament. “To collect it off a U.S. beach is not legal,” Michael Moore, a senior biologist at the Woods Hole Oceanographic Institution, said. Moore works with the NOAA Marine Mammal Health and Stranding Response Program, and is therefore privy to many whale skeletons and carcasses. Tony LaCasse, a spokesman at the New England Aquarium, confirmed that the Marine Animal Protection Act, the Endangered Species Act, and CITES (the Convention on International Trade in Endangered Species of Wild Fauna and Flora) all have bearing on the sale and transportation of whalebone. Asked what somebody absconding with whalebone off a beach, particularly Atlantic right whale bone, might face if caught, a NOAA official told The Times penalties are wide-ranging, depending on the circumstances. “[O]ur office of law enforcement investigates the facts of each situation and evaluates whether a warning, summary settlement, or referral to NOAA’s general counsel enforcement section is warranted,” NOAA public affairs officer Jennifer S. Goebel wrote in an email. Under federal law, individuals and organizations can get permission to receive parts from endangered or threatened marine mammals. Typically, the authorization is for museums or educational programs. “NOAA prohibits the taking of any part of a dead marine mammal,” Kennedy said. “It’s not worth the trouble you’ll get into.” That doesn’t stop folks. 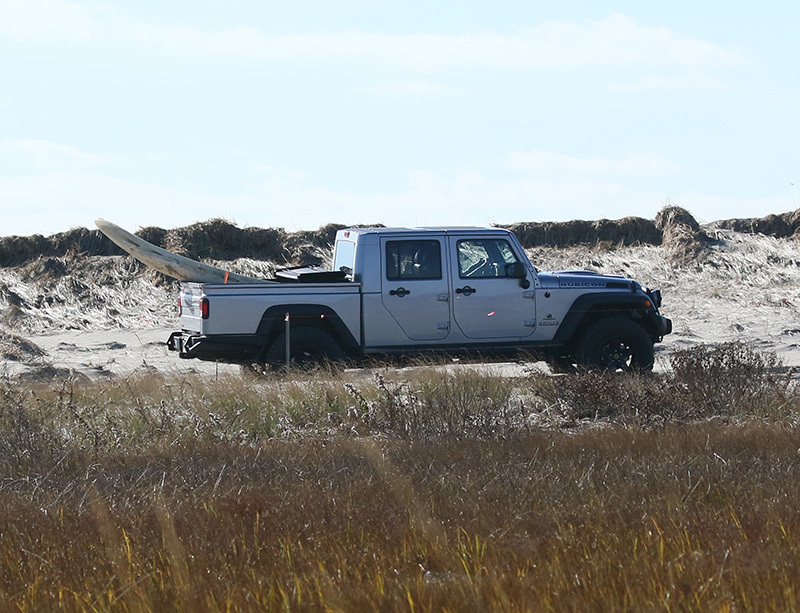 Last November on Norton Point, an Edgartown man tossed a length of Atlantic right whale jawbone into the back of his pickup like a big surfboard and and drove off with it. He was photographed doing so, Kennedy said. 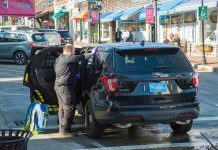 After examining a partial image of the license plate, Massachusetts Environmental Police officers tracked the man to a house in Edgartown, where they found the jawbone leaning by an outdoor shower. Because they genuinely felt he was oblivious to marine mammal law, the Environmental Police let the man off with a warning, Kennedy said, but they took back the bone, of course. Told of the occurrence, LaCasse said the man was “very lucky” the Environmental Police came to his door, and not NOAA law enforcement officials, who tend to be much less lenient. The North Atlantic right whale is among the three most endangered species of whale in the world. NOAA estimates there are only about 450 Atlantic right whales left in the world.